I remember when we first moved to Australia from Hong Kong in 1987, the choices available to us in terms of Chinese food was more than dismal. In fact, it made us all very sad when we would go to a restaurant and found that everything tasted less than acceptable to our very picky palates, which made it all the more difficult to accept this new country we were to call home. My mom would go to the grocery store and found nothing comparable to what she was used to, so it was virtually impossible to re-create dishes even if she wanted to. Eventually, through the years of Asian immigrants coming to the land Down Under, the variety of Asian products, groceries and restaurants have flourished and so have the quality and quantity of Asian restaurants in this third largest Australian city. I still feel my mom makes the best dishes I loved as a child and no one compares to her home-cooked meals, however, on those days she doesn’t feel like slaving over a hot stove to cook, it is not impossible to drive out to a neighboring suburb and enjoy a few meals at a restaurant. 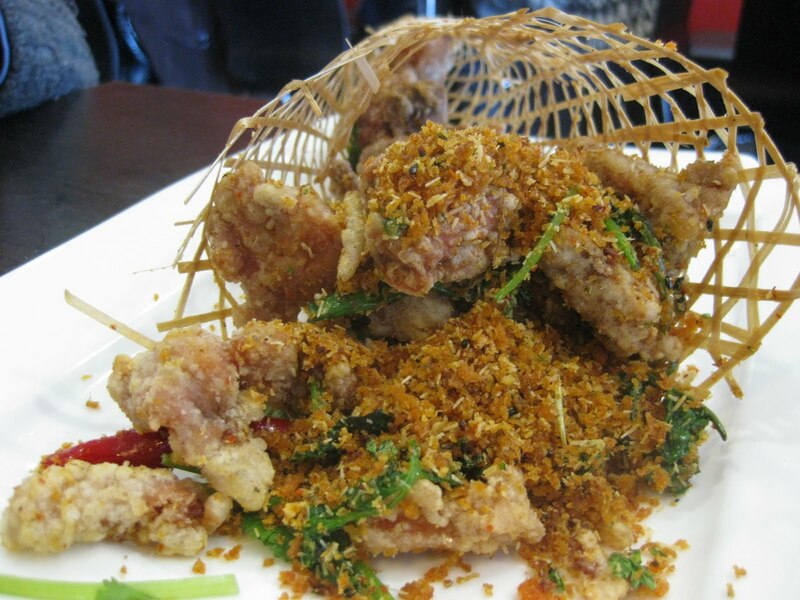 Sunnybank Hills, a suburb which in the last decade, has become highly populated with Asian-folk houses some of the better Asian restaurants around. My parents are very discerning when it comes to food and if a restaurant isn’t up to par, they will not re-visit, leaving it a highly daunting task when it comes to eating out. A few days ago, we met a childhood teacher of mine and her husband for lunch in Sunnybank Hills, to a place strangely named Shangpaigne Kitchen. The restaurant specializes in Shanghai-style cuisine and the fact that my parents felt it was good enough to deem several prior visits meant the food was somewhat decent, at least, decent enough for my dad to feel worthy of him spending money at. My family is originally from Shanghai and naturally, we love this sort of food, namely starchy dishes such as buns, dumplings, noodles and rice. 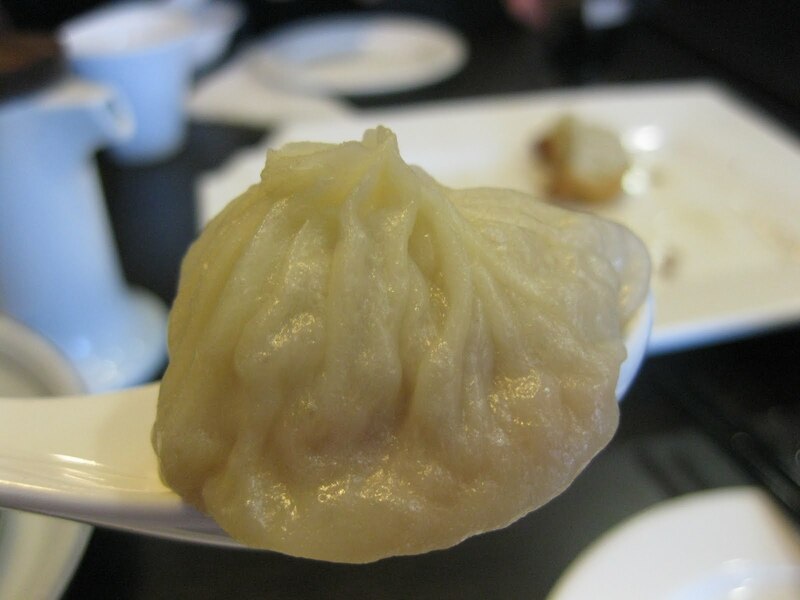 One of the most popular dumplings commonly known as XLBs are the xiao long bao, which are little steamed dumplings with a pocket of soup which bursts into your mouth once you bite into them. In southern California, the most famous ones are from Din Tai Fung in Arcadia. I was highly skeptical when we came to Shangpaigne Kitchen because even in southern California, seriously good XLBs are hard to find. I was literally blown away when I tasted these ones, at how thin the wrappers were, but still able to encase that pocket of delicious soup inside. Essentially, these were as delicate as the ones at Din Tai Fung! 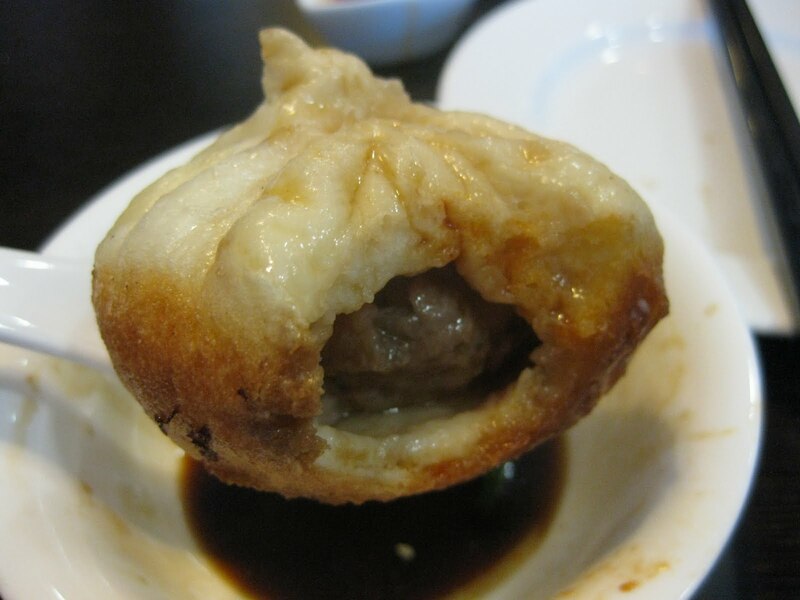 Sheng jian bao are another type of buns filled with meat. The buns are cooked in a frying pan with oil and steamed in the pan itself creating a puffy steamed bun on the outside while keeping the bottom crispy. I didn’t like the ones here! They were way too large in size with almost no filling and too much doughy bun. Another item was guo tieh or potstickers and these were quite delicious actually! These fat, round dumplings were pan-fried to perfection on the bottom and the pork filling was seasoned perfectly. Slightly on the greasy side, but I was pretty impressed with the quality — seeing how I’ve never thought Chinese food in Brisbane was all that! Cumin chicken served in a bamboo cone was just okay. It didn’t taste like cumin at all, in fact, it was just like regular fried chicken pieces tossed with a few sprigs of cilantro and a couple of chilis. Some chicken pieces had bones and all in all, it was very average. XO sauce fried rice sounded really delicious, but unfortunately, the rice was really greasy and one could hardly detect the XO sauce at all. If you were lucky you could catch a hint of it. Otherwise, it was very lacklustre. Service is just like one would expect in any Asian restaurant in any country one would go to — passable and not all that attentive. They refilled tea pots when they caught wind of its half mast lid, but otherwise, not attentive at all. Prices were moderate — in the end, the total was AUD$65 for six people — best of all, no tip required!